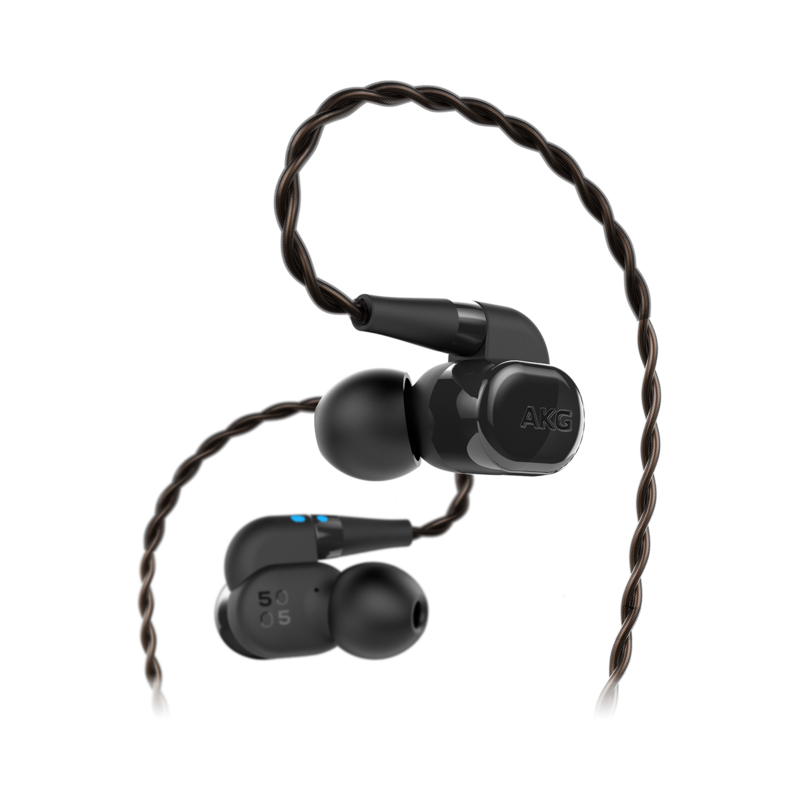 Pioneering combination of one dynamic and quad balanced armature drivers in each earphone, it replicates studio sound quality that musicians and engineers strive for. 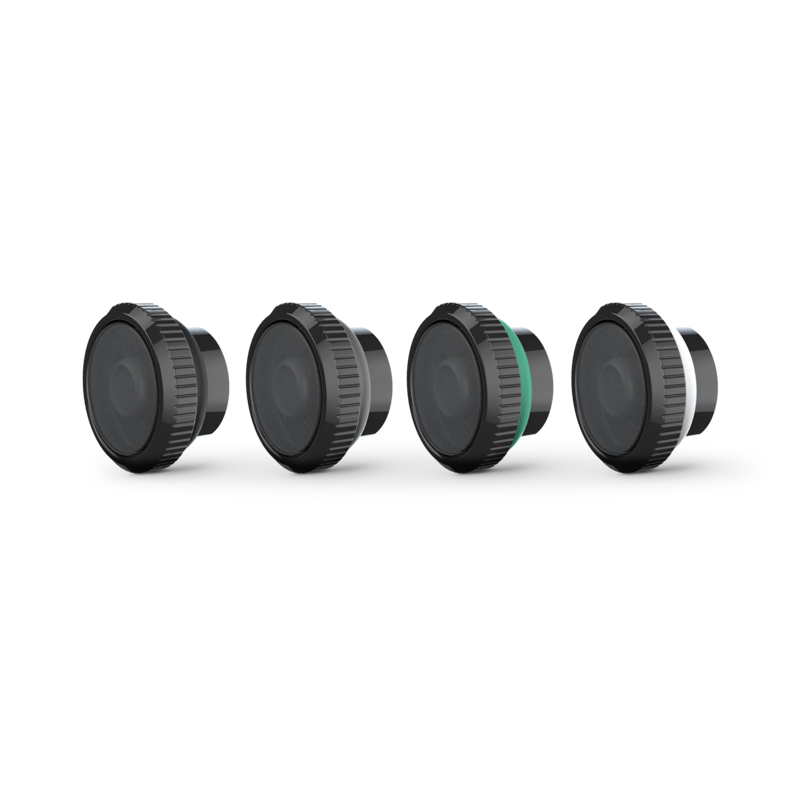 These four one-of-a-kind filters lets you adjust for bass, mid, mid-high or high frequencies to be modulated according to your personal preference. 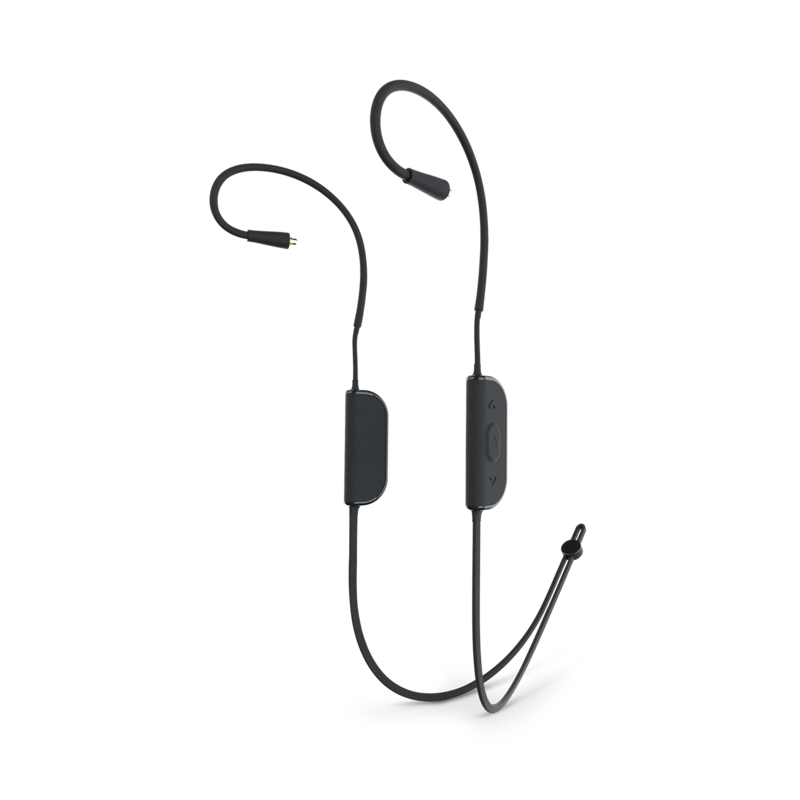 Listen to your favorite music wirelessly, and take crystal clear, hands-free calls. 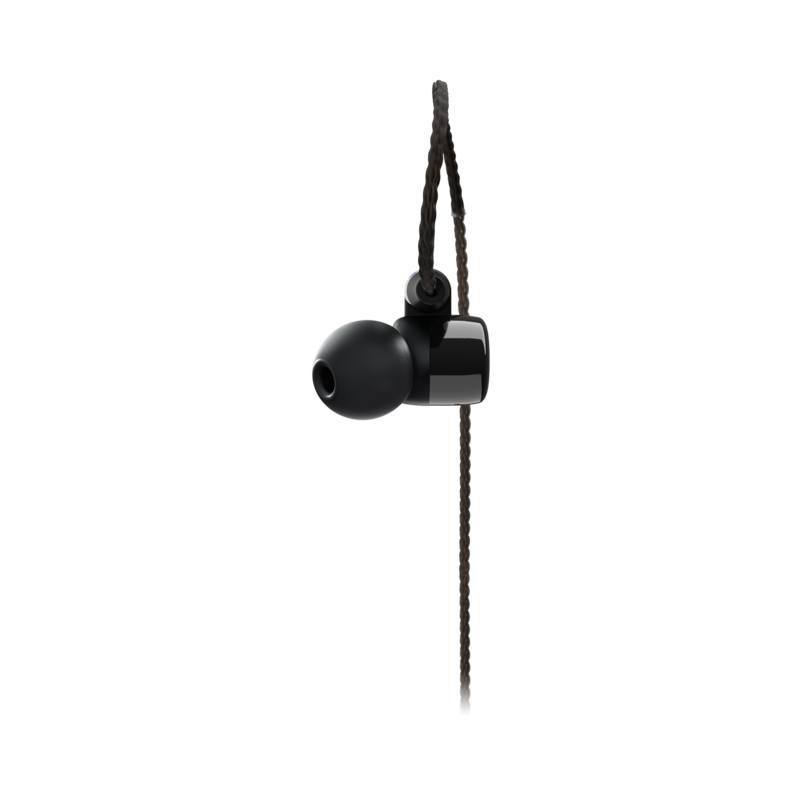 Crafted from premium materials, the N5005 comes with silicon eartips in three sizes and spinfit eartips in four sizes (S, M, L), allowing for perfect fit and maximum comfort. We got creative with sound. Meticulously crafted from premium gloss black ceramic, the AKG N5005 is the epitome of pure and detailed studio sound reproduction, without distortion or distraction. By pioneering the combination of one dynamic and quad balanced armature drivers in each earphone, AKG gives you perfectly balanced 5-driver configuration headphones and one-of-a-kind sound tuning capabilities that lets you adjust for four precise output preferences. 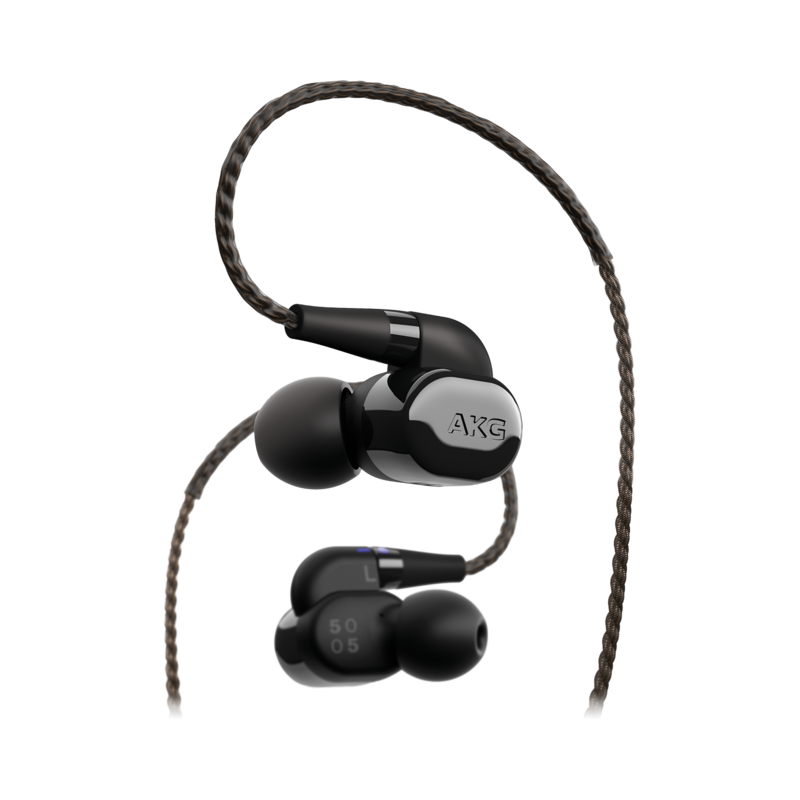 Hi-Res certified, the AKG N5005 replicates the accurate mids, crystal clear highs and warm bass that allows you to be inspired by the purity of music. 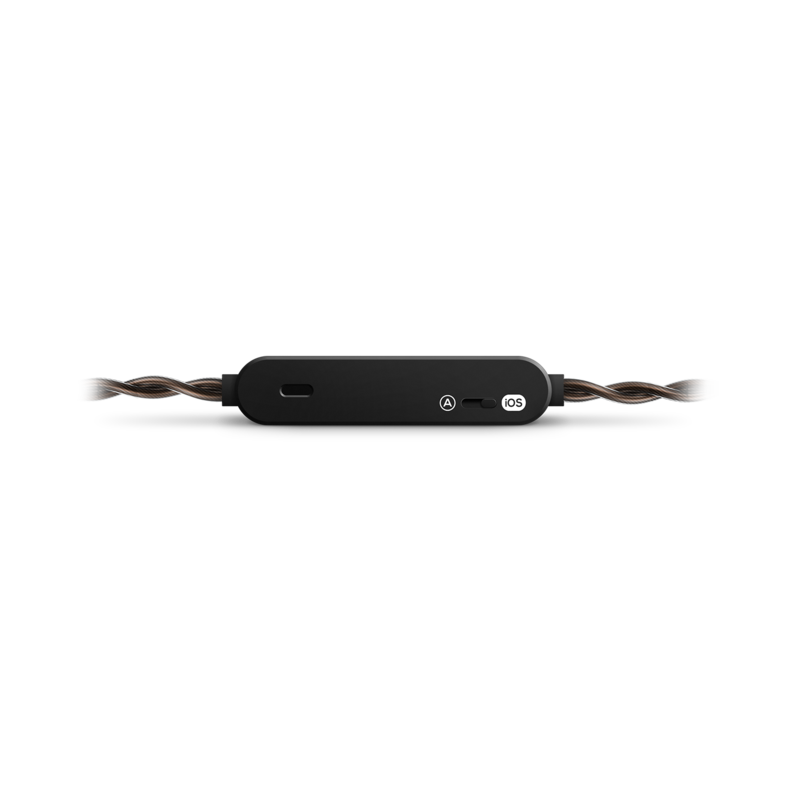 It perfectly complements your on-the-go lifestyle with its Bluetooth® 4.1 detachable cable, 8-hour battery life, 3-button universal/remote for hands-free, crystal clear calls and a premium carrying case for easy portability.